Everyone gets excited when the circus comes to town, and the Circus Playland will not let you down. This unit is perfect for the littelest of patrons and easily fits into a corner. It features dazzling digital print both inside and out, kid-friendly obstacles, a train climb & slide, and plenty of bouncing area. Playlands have room for 8 kids and only take up a small footprint. 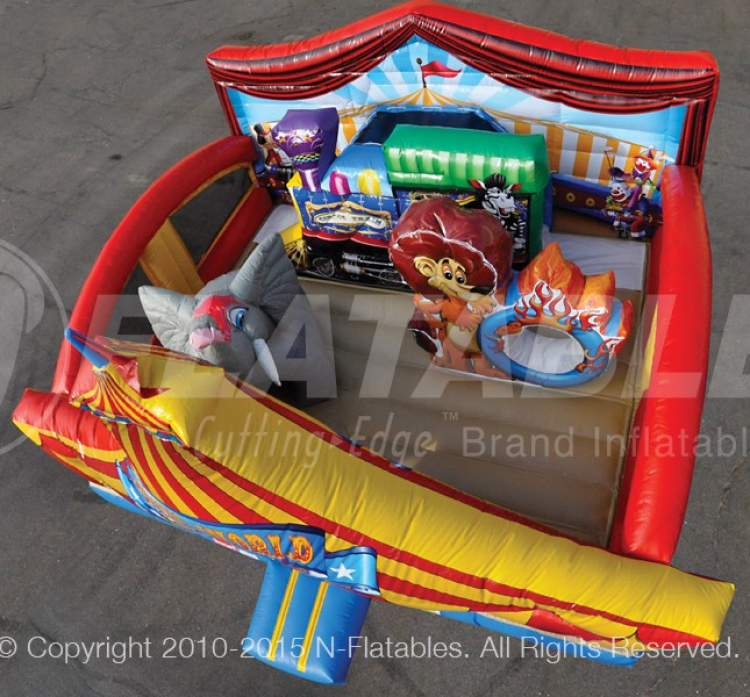 Be sure to add our other circus and carnival themed units to make an experience like no other.